Join us on October 7th for a private view of the Marilyn exhibition at the American Museum. 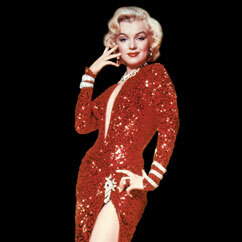 It’s now almost 50 years since her death and her fame has never been eclipsed. She’s still the inspiration for fashion designers, actresses and singers across the globe and the ultimate screen icon. The American Museum in Bath are marking their 50th birthday with a celebration of her style and legacy. Join us on October 7th for a private view of the exhibition that contains many of the dresses worn by Marilyn in her films along with a selection of personal items seen in the UK for the first time. The evening starts at 6.30pm with a tour of the exhibition followed by an opportunity to wander around the rest of the museum at your leisure. The lovely people at the Museum are also providing us with a bar so that we can offer a toast (or two!) to Marilyn! Tickets are £15 each and can be purchased from a member of the Bath WI committee or go on over to our Facebook page and drop us a note on our Wall and we’ll get in touch. For more details of the exhibition please visit the American Museum website .